Wilton Developments is set to commence on the £2.7million refurbishment of the former Spring House, which sits in the heart of Manchester`s Central Business District at 42-44 Fountain Street. Wilton Developments acquired the seven-storey, 26,000 sq ft building in 2011, on behalf of an in-house client, when it was occupied by AXA Insurance. Subsequently, planning permission has been secured to redevelop the ground floor for restaurant use, to form a new glass fronted two-storey height reception with the upper six floors being refurbished to provide office space of an exceptional standard. Jason Stowe, Managing Director from Wilton Developments, says: “It`s exciting to be starting work on our Manchester city centre project. 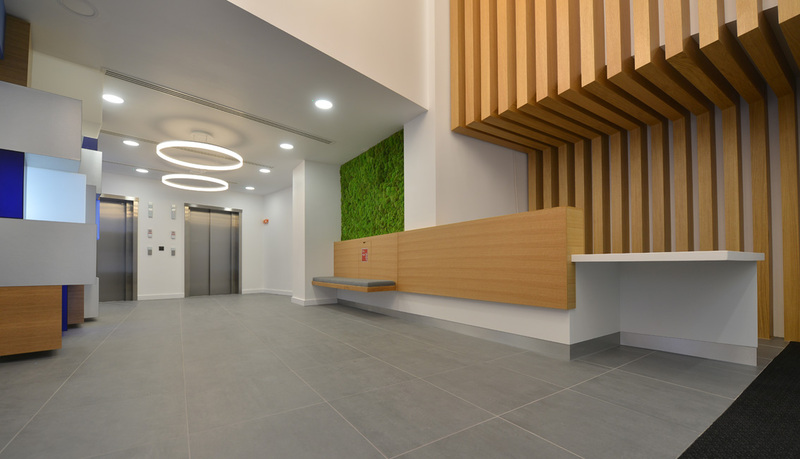 This refurbishment will be of a quality equal to our award winning developments in Leeds, where we secured a prestigious British Council for Offices (BCO) Award for 10 South Parade. The desire is to produce a `best in class` building in the same way as we have done in Leeds. Manchester based interior space specialist, Ardmac, has been appointed to undertake the contract. Work begins at the end of November and the contract will take eight months to deliver. Wilton has worked with Manchester City Council to retain some features of the original building including the columns at the building entrance. The interior will be comprehensively remodelled and refurbished, with the reception area being turned into a striking double height atrium. Showers, club class changing facilities and bike storage will be delivered, along with basement parking. Pudney Shuttleworth will market the ground floor restaurant opportunities. The office agent for the development is Manchester specialist, OBI Property.